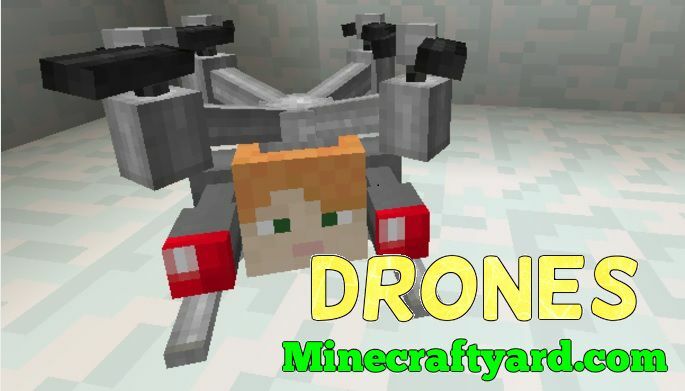 Drones Mod 1.12.2/1.12/1.11.2/1.10.2 Minecraft Download. Thinking out of the box in the Minecraft and adding some amazing creativity, this mod does it all. By adding mobs in the form of drones is really something extraordinary. In addition to that a player will get assistance from a drone as well. Furthermore it showcase two items called disrupter and constructor. 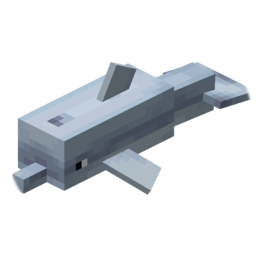 Firstly this mod provides two types of mobs and two items in the Minecraft. First one is the hostile mob which attacks you with a saw blade. The other one is the friendly drone which protects you from other mobs which are present in the game. The mode of attack will be a damaging laser. Additionally the friendly drone will place on the head of the player model. Have fun and let us know how you enjoyed playing this mod. The Drone Disruptor is a craftable item that will send out an ‘EMP’ signal which will destroy any non player drones within range. The Drone Constructor is a craftable item that will spawn a player owned drone. The drone will display the player’s head as a way of showing it’s owner. 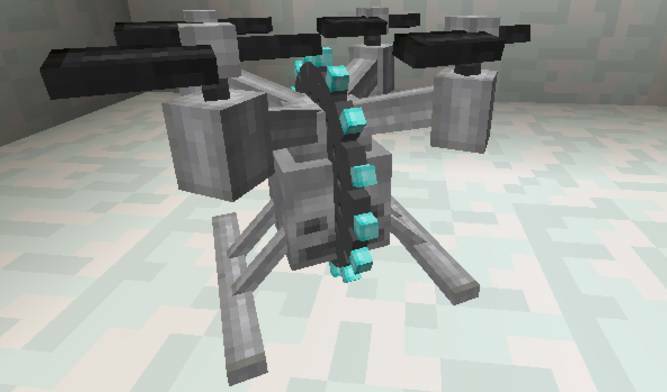 Player drones have a ranged attack laser that will shoot 2 beams, on a small cool down, that will harm hostile mobs but not other player drones or players. Player drones will follow their owners and also melee attack hostile targets. We do not tolerate any kind of misleading of the fans and thats why we always mention the source as well. We request all the Minecrafters to be patient because the desired version might take a while to release. The modifications will be available right here after the release without any malicious links. 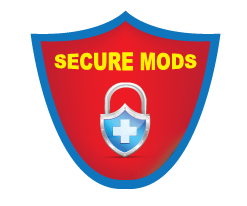 Although its really hard to keep check and balance on each and every mod but we require some assistance from the community to discourage the distribution of fake content. We hope you will enjoy every bit of playing Minecraft. So have fun and keep coming here to check the fastest updates.